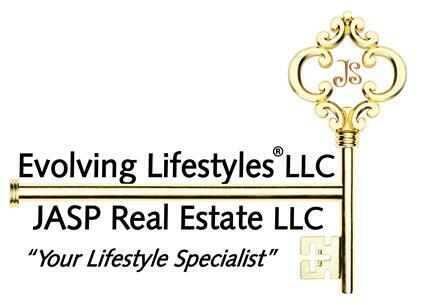 As Principal of JASP Real Estate and Evolving Lifestyles®, I’m your go to Lifestyle Specialist for when your home no longer fits your needs. My expertise is in the lifestyles of active adults 50+. Through a non-medical personal profile assessment, together we can review and evaluate your current lifestyle as well as anticipate any possible future needs and defining your potential options. I’m also a Certified Aging in Place Specialist (CAPS) who offers solutions for those who want to stay in their home and be able to age in place. Being a caregiver for my mom, I have the experience and compassion, for all my client’s unique needs in their evolving lifestyles. I do appreciate and empathize with the fact that sometimes it might be difficult to move, but at the same time it might not be a practical choice to stay in your home. As your Senior Real Estate Specialist (SRES) I can create a customized approach to marketing and selling your home, work with you to explore your housing options and ensure that your new home best serves your current and future needs. With access to reputable professionals, I can develop a plan and organize your team of specialists needed to achieve your lifestyle goals, so that you will get enough information and have more realistic expectations, to be able to the answer the question… Should you stay, or should you sell? As your advisor and advocate, I will provide a lifestyle plan and take you through the process to achieve your goals and help minimize your stress. The data relating to real estate for sale displayed on this Website comes in part from the Broker Reciprocity Program (BR Program) of M.L.S. of Naples, Inc., under License No. 249523485. Properties listed with brokerage firms other than JASP Real Estate LLC are marked with the “BR House” logo. Detailed information about such properties includes the name of the brokerage firm with which the seller has listed the property. The properties displayed may not be all the properties listed with brokerage firms participating in the M.L.S. of Naples, Inc. BR Program, or contained in the database compilation of the M.L.S. of Naples, Inc.